On the left Mr. Arun Shourie, Union Minister of Disinvestment and the Department of Development of the North East Region addressing the International Seminar On the Global Threat of Terror . 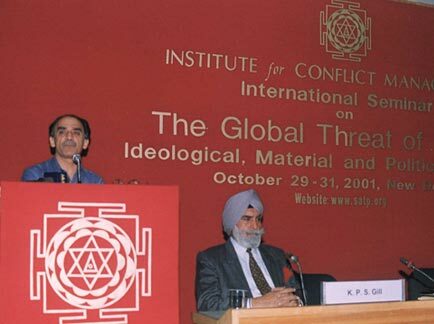 New Delhi, October 31, 2001: Mr. Arun Shourie, Union Minister of Disinvestment and the Department of Development of the North East Region, said that the terrorist strike using two planes to crash into the twin towers will live on in terrorist mythology for over a hundred years as an example of successes, and such successes will breed 100,000 new terrorists. Mr. Arun Shourie said this while delivering the Valedictory Address on the concluding day of the 3-day international seminar on "The Global Threat of Terror: Ideological, Material and Political Linkages" organised by K.P.S. Gill's Institute for Conflict Management. The Institute constitutes a major forum for research, data and analysis on terrorism and low intensity warfare in South Asia. The Seminar was convened at the India Habitat Centre. While commenting on the new Prevention of Terrorism Ordinance (POTO), the Minister said that the data on the abuse of the earlier TADA against the minority community was completely false and added that the same logic is being used in the debate on POTO. Mr. Shourie stated if the potential for abuse can be an argument against a law, then one would have to do away with the CrPc and IPC also. Drawing attention to the state's failure to contain terrorism, and to the low conviction rates of terrorists and criminals in the country, Mr. Shourie said that the "the worst factor is the weak and flabby condition of the state itself." Taking the example of the Bombay blasts case in which the accused have not been convicted even after 8 years, and where proceedings were still at a preliminary stage, he emphasised that this flabby condition of the institutions of governance were providing the principal opportunity for the sustenance of terrorists and criminal gangs. It is in these conditions that Pakistan, as also terrorists, find their opportunities. Pointing to the double standards adopted by the international community, and especially the West, the Minister noted that 53,000 people had been killed in terrorist conflicts in the country over just the last decade, and yet, delegation after delegation of foreign dignitaries used to keep coming to Delhi asking for evidence. On response strategies, he said that "each state is going to have combat its own problems." Mr. Shourie added, "Once the fight abates, one should not forget those who fought in the battle. It is a crying shame for all governments that prosecution of policemen in Punjab is still continuing." Attempts to buy peace, in Mr. Shourie's perspective, would boomerang.  It is necessary, he said, to secure unambiguous victories against terrorism. The sponsorship of terrorism would boomerang on the patron states unless they realised this truth in time. While observing that the technology of terrorism is becoming easier, he indicated that one "cannot block technology. All that one can do is to be one leap ahead of the terrorist technology." The Minister also cautioned that "all this is going to cost a great deal and every society that is to survive these challenges will have to pay a certain cost of survival." Mr. K. P. S. Gill, commenting on the current succession of crises, observed that US was confronted by a unique situation: the Taliban is a state; it is a state with an army; and it also has an elaborate network of terrorists. Mr. Gill indicated that the US may have the strategy to confront an army, but the fight against terrorism is far more complex. He also added that there are no universal responses or punishment for terrorism, and that is why this was such a popular strategy. For any other crime, a criminal knows that he will receive a certain punishment; but for terrorism there were so many political explanations and justifications, and little consistency in law, that there was little fear of retribution. On the ongoing international campaign against terrorism, Mr. Gill held that "there is no such international campaign. The West is always unhelpful and hypocritical." Mr. Gill pointed out two images that have become significant - that of the World Trade Centre crashing and of the Afghan children pierced by shrapnel. In this context, he stated that while there is truth in both these images, the images of 'mass demonstrations' were largely staged. Drawing from his past experiences, Mr. Gill emphatically stated that the only time there was a definitive policy on counter-terrorism was during the last two years of the Punjab campaign. Nevertheless, he added, this policy evaporated with the subsequent elections. On the recurrence of terrorism in Punjab, he was emphatic in pointing out that people in Punjab have just "moved on". According to Mr. Gill, societies which have parts of it indulging in terrorism degenerate and "degenerate in such a manner which cannot be imagined." Reflecting on the increasing levels of violence, he posed the question whether one is witnessing the end of liberal democratic societies? And who would emerge victorious in this battle? Mr. Gill was however optimistic on the victory of liberal society. Dr. Ajai Sahni, Executive Director of the Institute for Conflict Management, during his presentation on "The Threat of Islamist Terrorism & Subversion in South Asia" remarked that, while, in many ways, the September 11 terrorist attacks constitute a watershed in history, they lay along an interrupted continuum that extended well into the past. He observed that this was "terrorism in very slow motion" and that the entire strategic community was aware that some such act of catastrophic terrorism was inevitable. On Pakistan's strategy in the current crisis, Dr. Sahni questioned the idea of Pakistan as a 'frontline state' against terrorism, noting that it was entirely unclear on which side of the battlelines Pakistan stood. Pakistan, he remarked is better described as a frontline state sponsor of terrorism in South Asia. Dr. Sahni said that if sustained military operations against the Taliban regime result in a change of guard in Afghanistan, or even exert extraordinary pressure on the extremist cadres there, a large number of terrorists currently active in Afghanistan may disperse and seek shelter in Indian territory and relocate their terrorist operations. While providing an overview of Islam in South Asia, he emphasized that moderate Islam is, today, under deep, penetrating and sustained attack in every concentration of Muslim populations throughout the region, and there is campaign by sponsored extremist elements to "harden" beliefs that, while it had not met with much success till now, could lend itself to the extremist jehad in an uncertain future. Prof. Mushirul Hassan, former Vice Chancellor of the Jamia Milia University, New Delhi, speaking at the same forum said that the proliferation of madrassas in India was primarily due to the withdrawal of the Indian state from providing education and other social services to the poor, which impacted enormously on the Muslims. Prof. G H Peiris of the University of Peradeniya, Sri Lanka, said that the Liberation Tigers of Tamil Eelam had served as a model for other terrorist outfits in South Asia, particularly in the use of suicide terrorism. Prof. Peiris, while addressing the issue of international co-operation in combating terrorism, drew attention to the case of the reported arrival of a large consignment of approximately 60 tonnes of arms in Notheast Sri Lanka from Ukraine. He added that this entire operation was monitored by a Western Intelligence agency, who however, shared the information with Sri Lanka only after the consignment was downloaded. Gen. Alfredo Filler, who retired as the Vice Chief of Armed Forces of the Philippines, said that the Abu Sayyaf Group, which continues to hold 19 civilian hostages, including two or three American and two Chinese nationals in the Basilan island since over three months, has links with the Al Qaeda network of Osama bin Laden as also with Middle East terrorist groups. Gen. Filler also added that extensive human contacts and exchanges between the Abu Sayyaf Group and Middle East are primarily directed through more than a million Filipino workers in the Middle East.